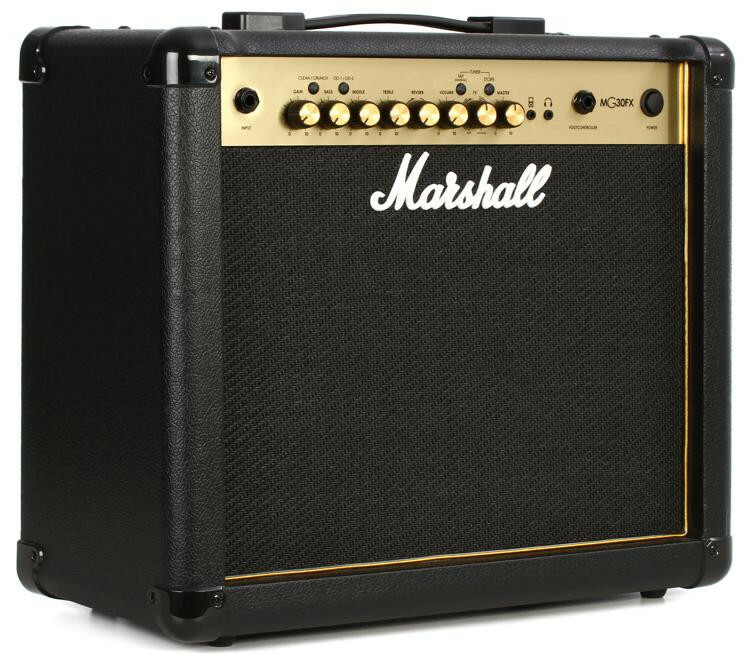 An Acoustic Guitar Amp by Marshall ! 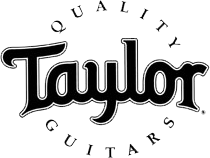 Yep, you read that headline right. 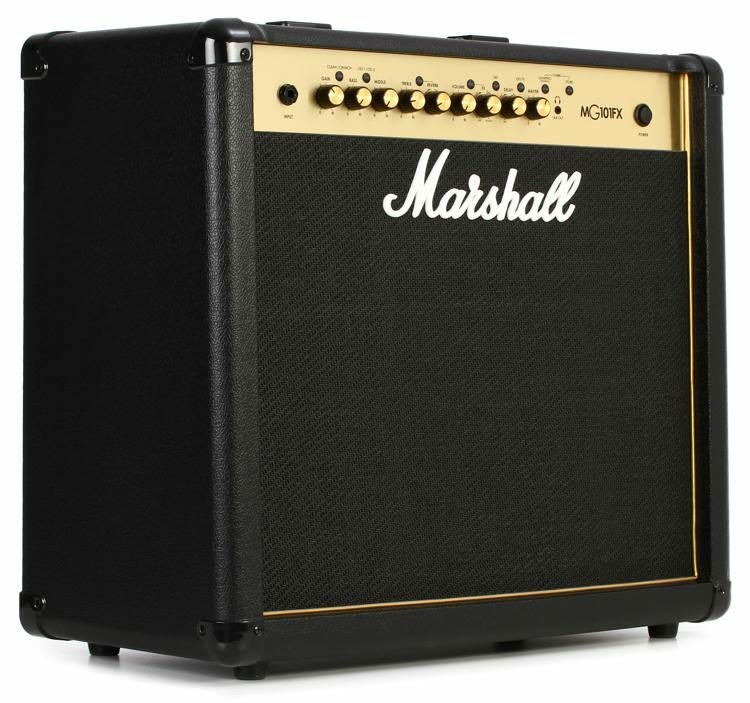 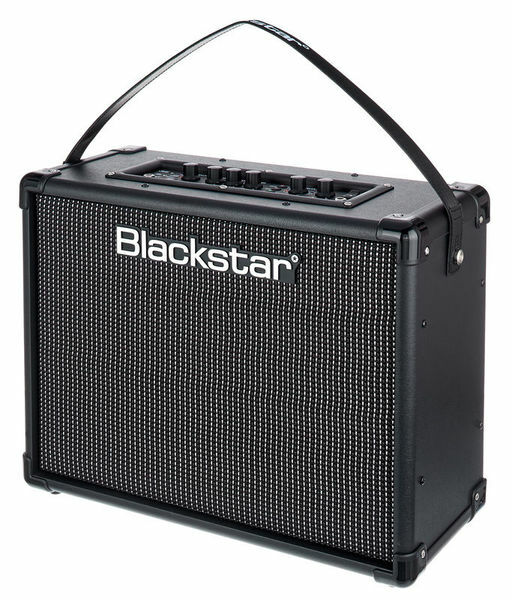 The Marshall AS100D acoustic amplifier was made to let acoustic players rock out at any coffee house or on any stage. 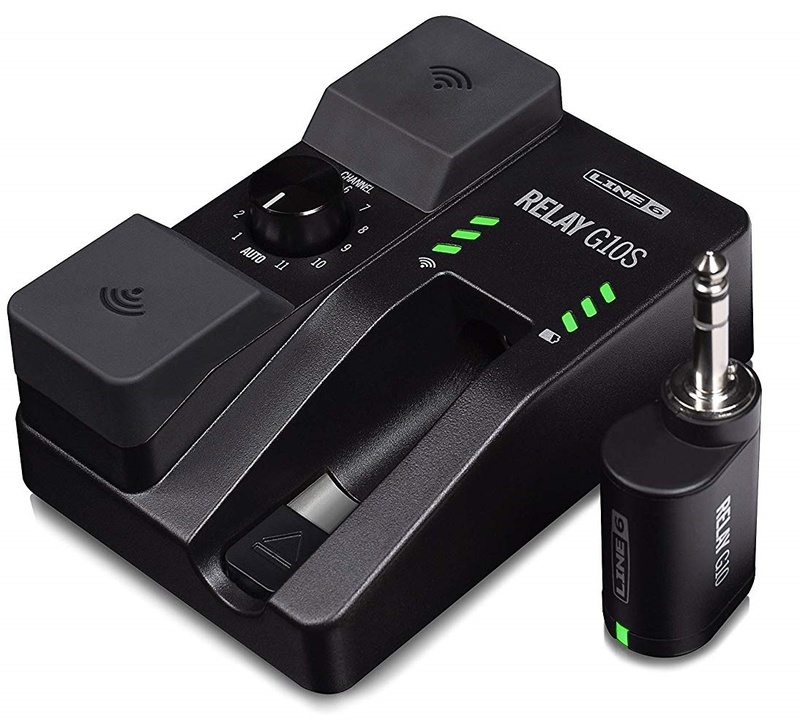 You get four channels, two for guitar, one for vocals, and one auxiliary input for your MP3 player or drum machine. 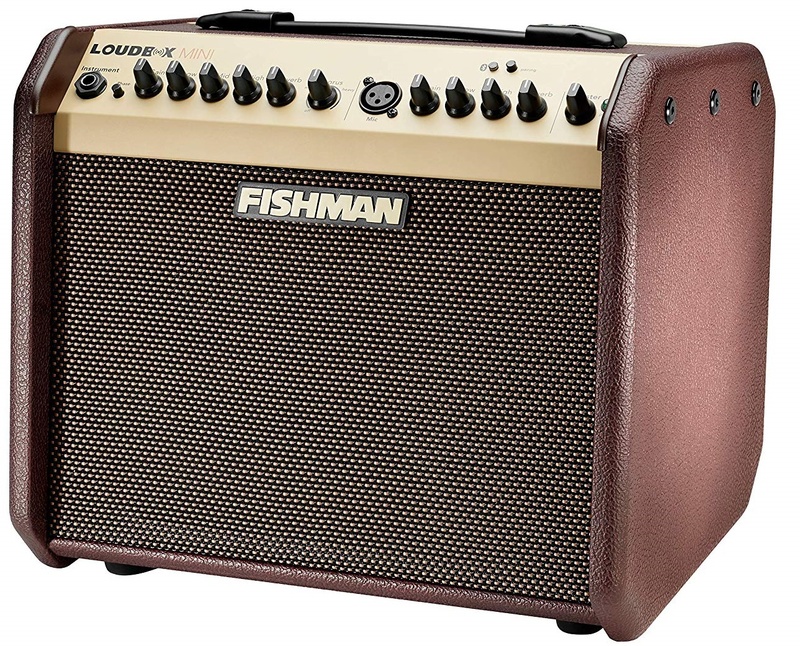 Built-in digital effects, an effects loop, anti-feedback control, and more give you all the tricks you need to pull off any gig. 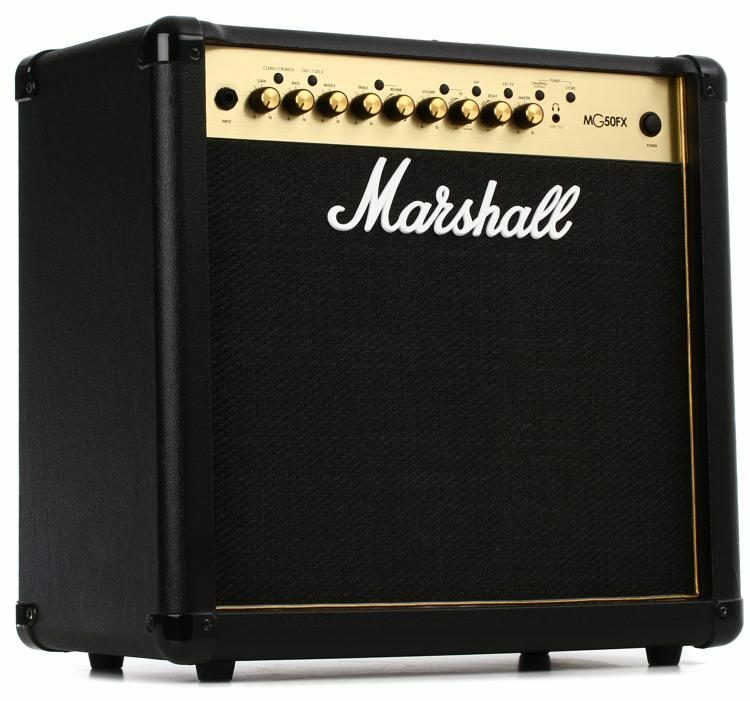 This little Marshall pumps out 100 watts into 2 x 8" speakers and a tweeter. 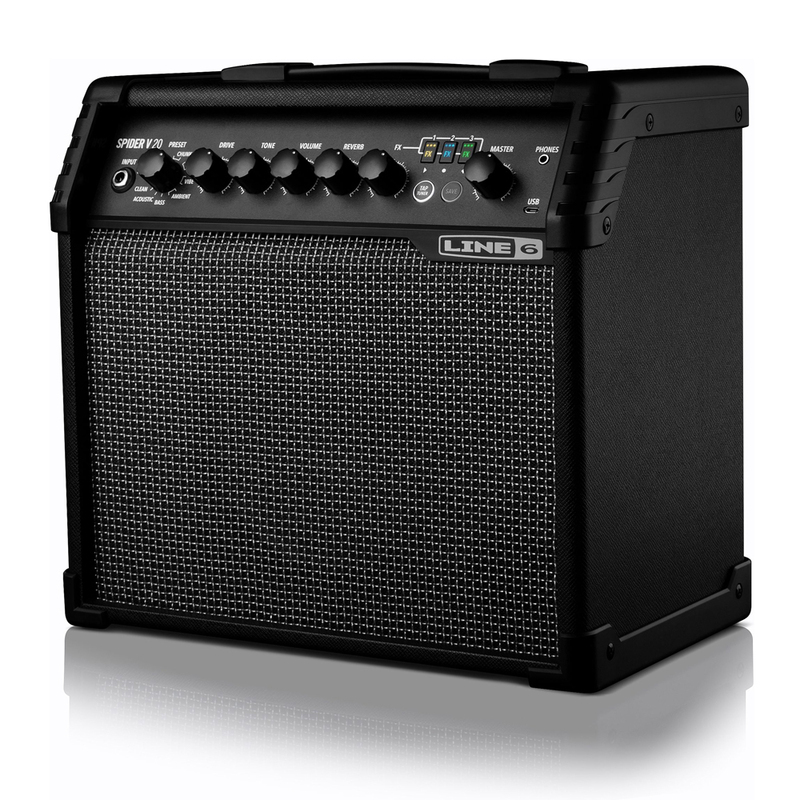 The AS100D also sports a 1/4" line out and XLR DI out so you can go to the mixing board or recorder at any time. 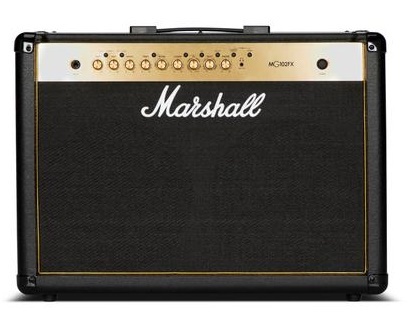 If you rock out with Marshall when you play electric, why not rock out with them when you go acoustic? 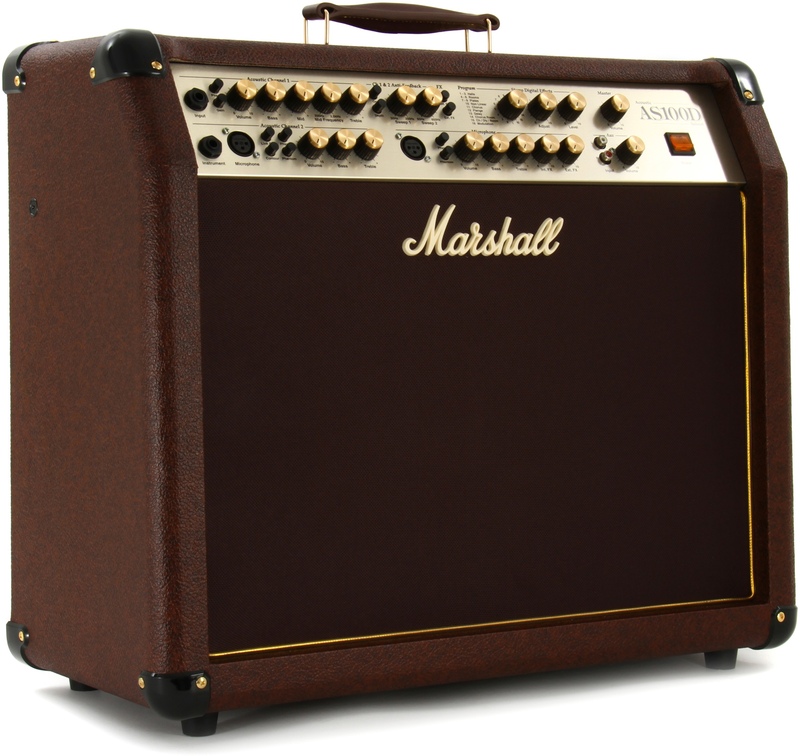 Get the Marshall AS100D acoustic amp and hit the coffee houses today!